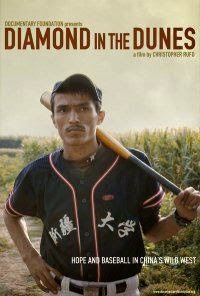 I've been doing some digging and found a documentary about baseball in Xinjiang called "Diamond in the Dunes." Unfortunately, their main website is down, but I found a preview from WorldChannel. If anyone can tell me more about this or a link where I can watch it sooner, please leave a message! As you may know, Xinjiang is an autonomous region of northwestern China and is populated by the Uyghur people. Not going to go all political here, but a lot of civil unrest going on there because of racial segregation and conformity (I'm no expert). Guess what solves some of the civil disputes?! The good old game of baseball! I would like to leave an inspiring quote, but whatever. Baseball rules! Anyway, I hope everyone enjoys their Thanksgiving week. If you're not from the US, have a great week as well! Thanks for reading and have a great time!